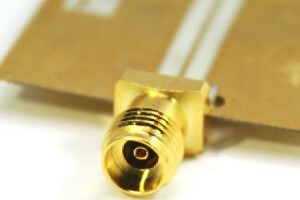 December 4, 2018 - Withwave's Board Edge 2.92 mm (SMA) connectors are specially designed for high frequency (DC-40 GHz) substrates to minimize electromagnetic transition effects from coaxial to Microstrip/CPW structure. Board clearances of 0.6 mm to 3.6 mm available. We solve your performance and cost problems with various types of board edge connectors according to substrate clearance. Withwave is a leading designer, developer of a broad range of RF & MW Test Solutions and subsystems with a focus on Electromagnetic field analysis and RF & Microwave Signal processing. Withwave's extensive product portfolio serves four primary target markets: Wireless communications, Test & Instrumentation, Automated Test Equipment, Network Systems. Applications for our products in these target markets include cellular phones and base stations, data networking, Semiconductor and telecommunications equipment and factory automation. Withwave maintains its competitiveness by continuously innovating products and services in an environmentally beneficial and sustainable manner. We add new technologies and abilities to our portfolio of competences to ensure our long-term success.